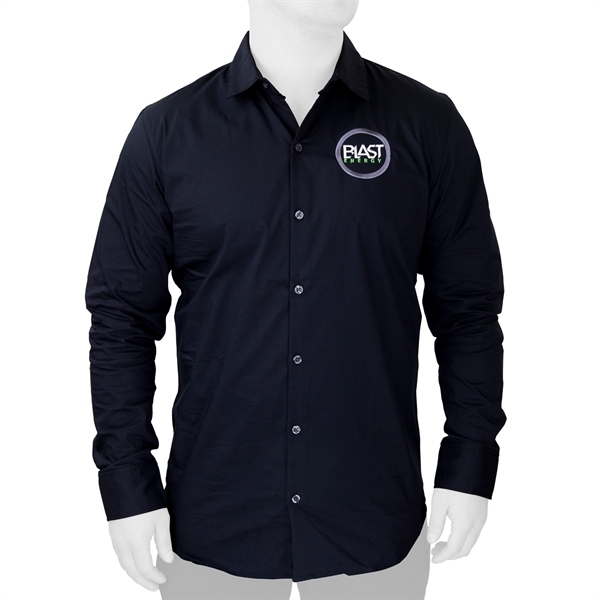 68% cotton/27% polyester/5% spandex poplin long sleeve woven shirt. 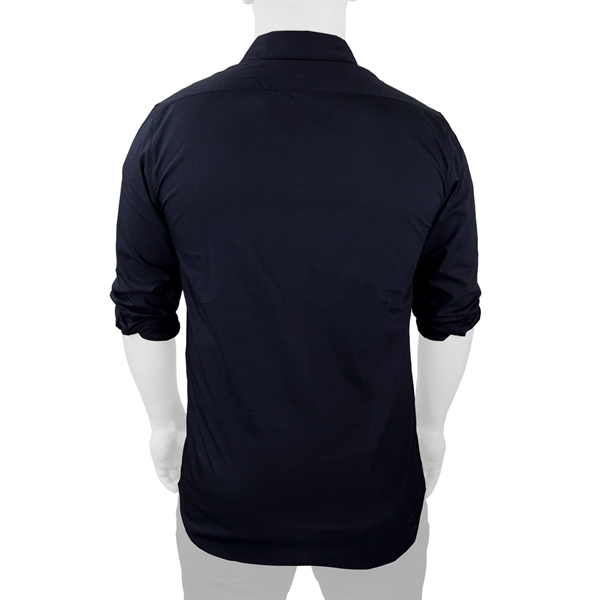 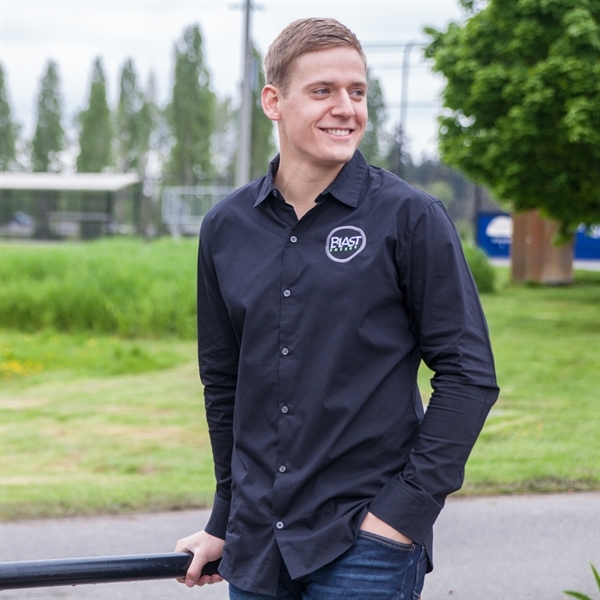 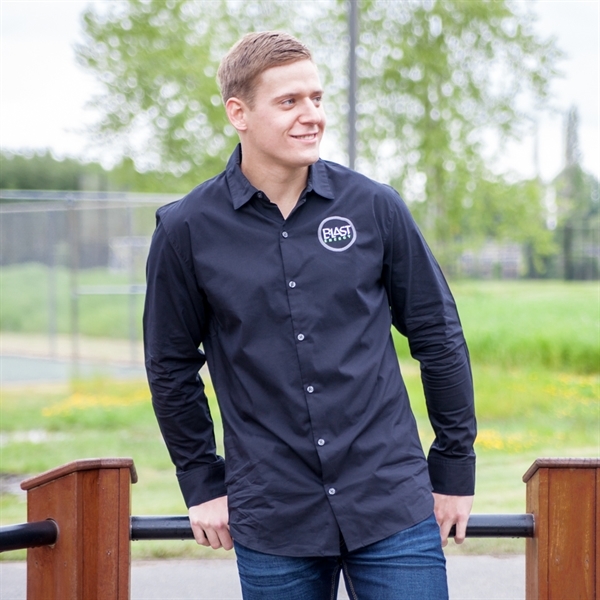 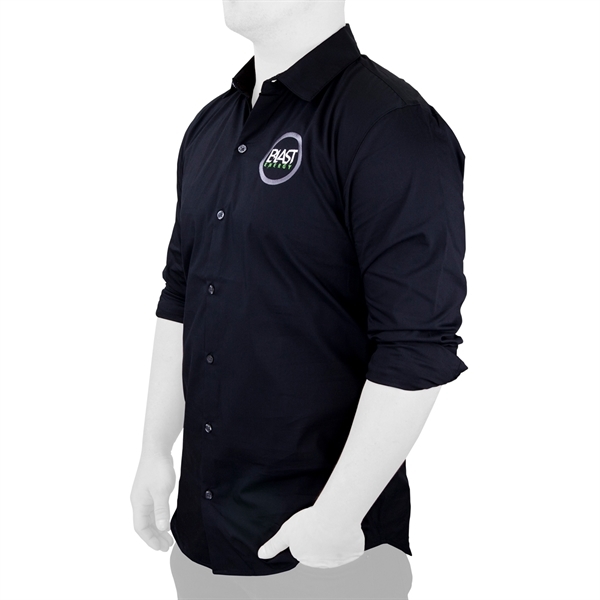 Features a seamless placket, two-button adjustable cuffs and back yoke. 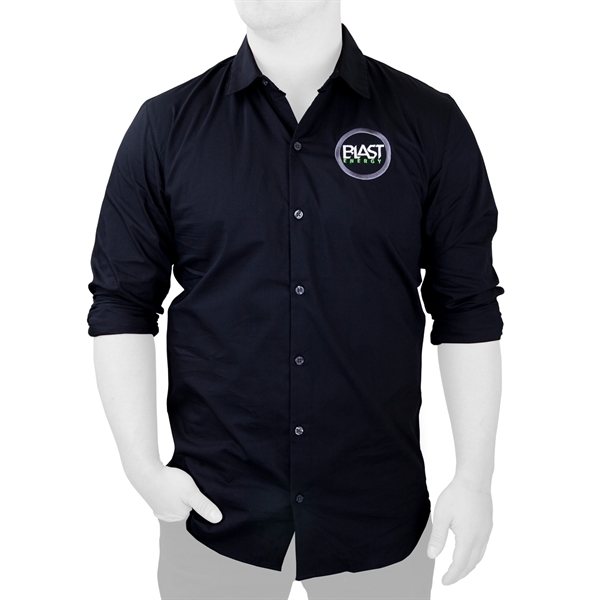 Embroidered Blast Energy Mixer logo.